During a Saturday protest, Black Lives Matter-Women of Faith Co- Founder Ms. LaShawn Littrice (holding microphone) encouraged people not to shop at Missha’s due to an incident that occurred earlier this year at the retailer’s store in Charlotte. 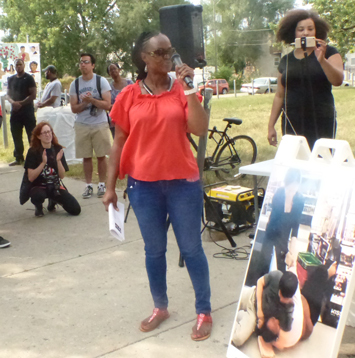 Ms. Lattrice is standing next to an enlarged image of the March incident where an employee of Missha’s has a young, Black woman in a headlock. The incident was captured on video. 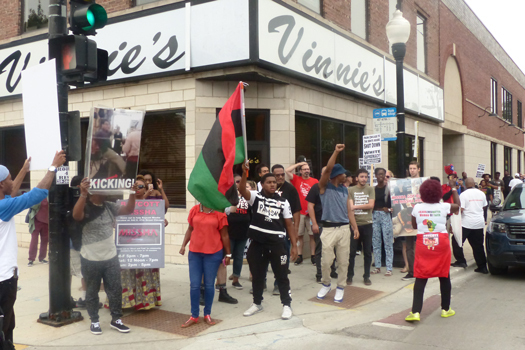 CHICAGO—On a recent Saturday afternoon community activists and residents gathered outside Missha Beauty Supply on East 47th Street located in the city’s Bronzeville neighborhood situated on the South Side. They continued calls for an ongoing boycott of the retail chain for an incident involving one of their employees and a young, Black woman earlier this year at the retailers Charlotte, N.C. store (See Final Call Vol. 36 No. 25). 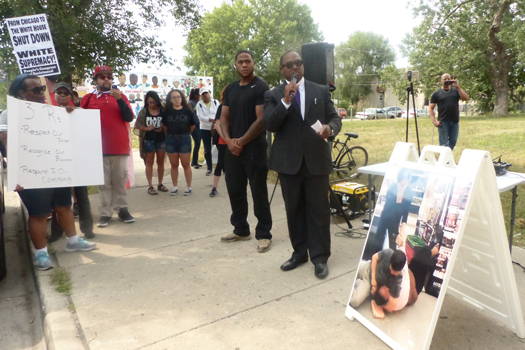 Student Minister Jeffrey Muhammad of the Nation of Islam and Chicago’s Justice or Else Local Organizing Committee addresses demonstrators.